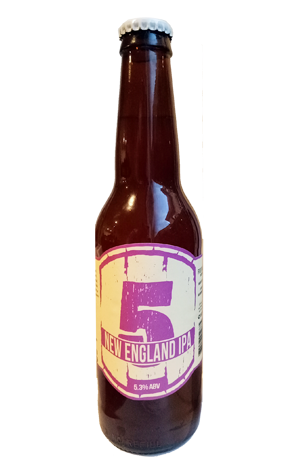 This is either the third or fourth iteration of the New England IPA from Five Barrel Brewing - brewer Phil O’Shea has kind of lost count. This time around it features El Dorado and Galaxy hops. And plenty them; Phil decided that two bouts of dry-hopping weren’t enough so he held the release date back a few days to get an extra load into the tank. Holding the release back a few days is no small thing. The New England IPA is a big performer for Five Barrels. The last three (or four) times it was made the beer virtually walked out the door. While they’ve brewed twice as much this time, that doesn’t mean you can afford to take your time trying to get hold of a four-pack. This beer with its smooth mouthfeel is going to move like hot cakes. Like tasty passionfruit and mango hot cakes. If you want to get some, your best bet is to make a trip to Wollongong - and quickly.